The White Cliffs Creatives’ Guild, in association with the newly refurbished Charlton Art Centre, are pleased to invite local artists to submit work for a six week exhibition beginning in January 2013. All forms of work are acceptable, including but not limited to: paintings, photographs, sculpture, pottery, woodwork and poetry, etc. Submissions must be suitable for public viewing. 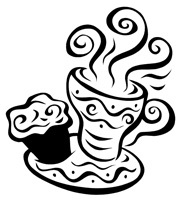 A ‘Tea and Cake’ Private View will be held on Saturday 19th January, from 11am to 1pm. Welcome to the White Cliffs Creatives' Guild, promoting local artistic talent, news, exhibitions, events, and supporting the arts in South East Kent.